The #1 educational book on Medicaid planning ever printed! If you are giving advice to client age 60 and older you MUST have this book. 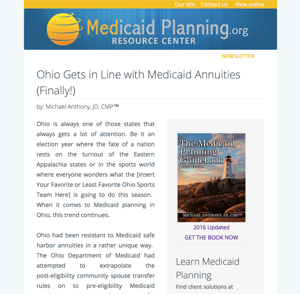 Nine example scenarios with detailed analysis of what should be done to best prepare the clients to qualify for Medicaid.The book has many examples, charts, figures, etc. ; but the nine comprehensive examples at the end of the manual are really helpful when teaching readers how to apply what they’ve read and learned in the Guidebook. Who should buy The Medicaid Planning Guidebook? Any advisor who gives estate planning, financial planning, or retirement planning advice to clients age 60 and older: Lawyer, financial advisor, CPA, etc. Most advisors who give advice to these clients know little, if anything, about Medicaid planning; and the consequence is that many clients are receiving advice that will cost their heirs tens, if not hundreds of thousands of dollars, and what’s worse is that it is subjecting the advisor giving bad advice to lawsuits. 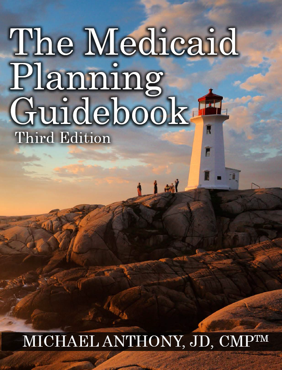 The Medicaid Planning Guidebook will become your desk-reference guide when giving advice to senior clients. How much does the Guidebook cost and where can you get a copy of it? The retail price of the book will be $400. However, when you order from a link on MedicaidPlanning, you can order it for $350. 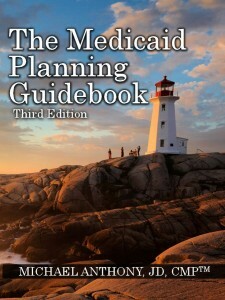 To purchase the The Medicaid Planning Guidebook at the discounted rate, please click here.